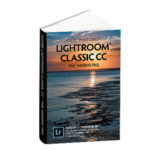 What's New in this Lightroom Release > Lightroom Classic Updates > What’s New in Lightroom Classic CC 8.2 (February 2019)? Lightroom Classic CC 8.2 has been released today. As well as performance improvements, bug fixes and new camera/lens support, the engineering team have spent this release cycle focusing on some interesting camera and raw file enhancements. The entire Lightroom CC ecosystem has also been updated. Overall 8.2 is looking pretty stable. Some notable bugs have been found in Enhance Details and are being investigated. They appear to be hardware-specific. Enhance Details – needs Windows 10 release 1809 (even if you think you’re already up to date). Here’s how to force the Windows update. There’s one more issue, opening photos from Lightroom into Photoshop if the photos are stored on a NAS. This is a bug in Camera Raw, and the temporary solution is to roll Camera Raw back to version 11.1. 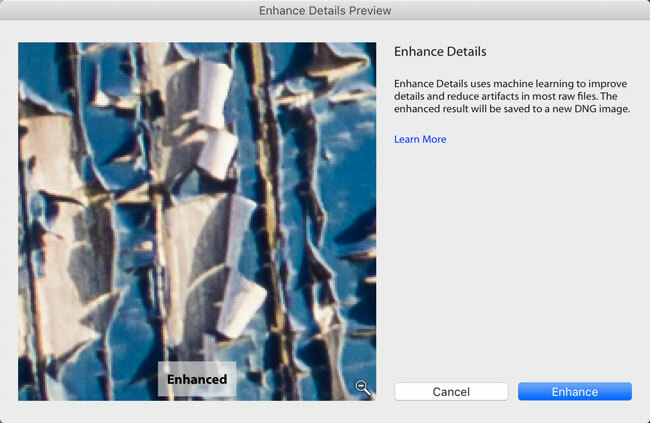 Adobe’s big news in this release is the Enhance Details tool. 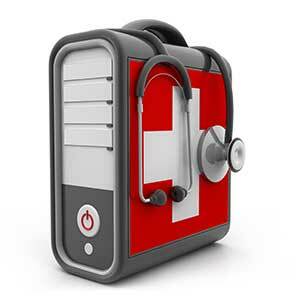 It’s designed to extract additional detail from raw files at the initial demosaic stage of raw processing. Let’s say from the outset, this isn’t a tool you’ll use on every photo. As this advanced demosaic is slower than the standard demosaic, the result is saved as a linear DNG file next to the original, with -enhanced added to the file name, and these files are much bigger than the originals. You’re a Fuji X-Trans photographer (especially if you’ve noticed “worm” artifacts when sharpening your photos). You’re shooting with a high quality Bayer sensor without a low pass filter and you’re using a very sharp lens. You’re creating large prints or expensive books. You’re affectionately known as a pixel peeper because you like to view your photos at 1:1 view or greater, and eek out every last bit of detail on your best photos. To play spot the difference, zoom into 1:1 or greater, or use the preview in the Enhance Details dialog. Look for very fine details, especially if they’re diagonal or curved, such as twigs in a tree. Also look for edges of contrasting colors, such as autumn leaves against a blue sky. Adobe’s shared some additional technical information in a special blog post, which you can read here. Enhance Details requires Windows 10 October 2018 release (1809) or later, or macOS 10.13+. Microsoft had some issues with their initial 1809 update release, so many people’s computers are still saying they’re up to date even though they’re on an older version. Here’s how to force the Windows update. Nikon tethering has been updated to match the October 2018 Canon tethering updates. Now, whether you’re shooting Canon or Nikon, you can control the basic camera settings directly from your computer. There’s also a new Disable Auto Advance checkbox in the Tether Capture Settings dialog, which keeps the existing photo on screen instead of automatically switching to the newly captured photo. It’s useful if one person is working on the images while another person is shooting. As you may not be on the ground when shooting a photo, automatic address lookup no longer adds / updates the altitude automatically when you drop photos onto the map. If you do want to apply updated Google Maps altitude data to a photo, click the Altitude icon in the Metadata panel. What kind of “performance improvements” are we talking about? No other features are important until the performance issues have been addressed. There was nothing “big” to announce performance wise in this release, but they’re constantly working on performance projects in the background. I can’t say much more until they choose to make details public. Interesting to read your thoughts about the new Enhance Detail feature. I totally agree that this is not a every-photo-feature. Did you experience any trouble using the faeture? On my Mac Book pro Lightroom crashed during rendering preview in the popup window every time I tried to use Enhance Details on original NEF with a older Virtual copy added. I tried several files, both from D810 and D700. When using Enhance Details on other NEF files, the rendering was as expected. Ack, I cannot edit. Sorry, not an entirely fair comment as written. You have one point about each, but the CC one is larger so I only just noticed that it was only one point as well. I tend to ignore CC items so I had not looked. No worries Don. I try to split them into separate posts, as I know some people aren’t interested in CC yet. 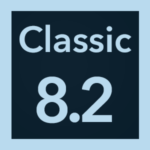 Classic just had the one big feature this time, whereas CC is still playing catch up, so we’re seeing faster progress there right now. I am running macOS Mojave 10.14.3 on my iMac (Retina 5K, 2017. I just tried the enhanced image feature on my Olympus RAW files (.ORF) and it does creates a . dng file but does NOT load it into Lightroom. If I try it a second time it causes Lightroom to crash ! Has this been tested? Tried the same with Camera Raw 11.2.0.135 which appears to work but I cant see any difference. I have just updated to the CC latest release but when I launched the Enhanced Detail I got an error rep[ort> System Update Required. Enhanced Detail requires Windows 10 2018 update or later. I am fully up-to-date so don’t understand this…. Yup Chris, I’m seeing the same behavior. When I check security and updates for available updates it informs me that I’m up to date and don’t need any updates. Yet when I check my Windows 10 Pro version, it is 1803, and not 1809. Not clear why version 1809 is not being offered to me from Windows Updates. Looks like a manual download and install is needed for me. I understand Microsoft had some issues with the 1809 release when they initially released it, so then they pulled it. I believe they’ve only just started rolling it out as automatic updates again. That’s the way to go John. I realized that my LR Classic CC has not updated in over a year. The ‘updates’ menu was greyed out, and the CC control insisted there were no updates available. I had the CC panel uninstall LR Classic CC, and then reinstall it. Now I do have the latest version. HOWEVER, if I go to the Help->Updates menu (which is no longer greyed out), I get a dialog saying that updates have been disabled for this machine. Huh? Do you know what magic incantation I need to do so the CC panel will update normally? (I expect that my Photoshop has the same issue, though I haven’t verified it yet. FWIW, I paid for the photo subscription many years ago, when it first came out. In 2018, I met the requirements for a free year of the LR/PS subscription, having sufficient stock images accepted at Adobe Stock. I am still in that year’s free subscription. BTW, I just checked again now, after rebooting my iMac Pro, and the issue remains the same. I’d get hold of Adobe customer support phone/chat on that one Burt, as they’re pretty good with installation issues. The 8.2 update pops up with a “System Update Required” error message that it requires Windows 10 October 2018 or later update. My systems are set to auto-install updates and I manually checked, I just rebooted for the February 2019 cumulative update. I don’t see any other updates pending. This happened on two computers. Any idea? Check your version, should be 1809. I had the same error and found mine were never installed due to MS error last year. Auto update does not pick this up. You need to go MS site and get the 1809 ISO and install it. I have just been through this and now all is working as described. Still odd that Lightroom needs that specific version. The effect is very subtle, though, and it takes a long time to create that duplicate photo, which is 3x the size of the original. I updated Win 10 to the latest (October 2018) release, and, when I used the Enhance Details function in LR Classic (with CR2 files from a Canon 7D Mark II) it produced completely black DNG files. I’m watching a bug report on black results so it would be worth chiming in on that thread. Works fine on my 2018 MBP. But the differences are *extremely* subtle, and I’m using a bare-sensor camera (Leica) which is the kind that the Adobe blurb says benefits most. I have yet to find an image which shows any real world difference i.e. in print. Good that they are trying new things, but this one is a bit underwhelming IMO. It’s primarily targeted at Fuji users, so I’m not surprised you’re not seeing a big difference. There seems to be a problem using the new Enhanced Details demosaicing method with Fuji X-Trans files. This has been reported to Adobe: https://feedback.photoshop.com/photoshop_family/topics/enhance-details-causes-cut-out-squares?topic-reply-list%5Bsettings%5D%5Bfilter_by%5D=all&topic-reply-list%5Bsettings%5D%5Bpage%5D=1#reply_20003899. Enhanced Details tool. There’s a bug. Tried to use it on both Laptop and PC and get this error notice.”Error details requires Windows 10 October 2018 update or later” My updates are current. Anyone else getting this error? Thanks. For me the Update from 8.1 to 8.2 brought a HUGE performance degradation. Lightroom got unusably slow, and I mean it. On a PC, 32GB, i7 7700k, SSD only machine klicking on any RAW file (42 MP or 6.3 MP – does not matter) brings Lightroom to a full stop for 1-2 seconds, then the picture loads, zooming in takes 2-3 seconds, moving the picture around while zoomed in takes another 3-5 seconds, sometimes the whole Lightroom UI disappears during this time and takes up to 5+ seconds to come back. Terrible. Worked fine the minutes before the update, no other changes. Windows up to date, graphics driver up to date, rebooted, nothing helps. I’m not hearing any other reports like that so far, so I’d uninstall LR, reboot, reinstall LR. Thank you for the article! Keep up the good work! Is this release stable? Should I update? I noticed that the Adobe Cloud App on my Mac offered LR 8.2 then stopped offering it for a few days and then it came back. What’s going on? Thank you. Yeah, someone pressed the release button a couple of days earlier than they should have, so it was pulled. It’s now officially back. 1. Issues with the new Enhance Details tool on some systems. If they affect you, just don’t use it. 2. Issues sending photos from LR to Photoshop if the photos are stored on a NAS. That one’s only a deal breaker if you use a NAS. The rest is looking pretty good. Adobe’s Lightroom Classic development team needs to cease adding new features and focus their entire department exclusively on performance improvement of the develop module. Develop module is where professional photographers spend 99% of their time and LR has become a running joke with how sluggish this module is. Sliders that lag behind mouse movement, epic wait times when applying clone/heal brushes and painfully slow reaction time when waiting for image changes to render. This has been my experience dating back to version 4 of Lightroom and continuing through to the current 2019 releases with multiple high end workstations both windows and mac. Currently my iMac Pro 8 core w/ Vega 56 delivers a sluggish LR experience, yet blazes through any other photo software. Professional photographers editing 1000s of images a month DO NOT CARE about increasingly finicky feature sets until these crucial ‘quality of life’ performance issues are addressed. See Capture One as an example of a much smaller dev team who ‘get it’. RIP Lightroom until radical improvements happen. I imagine it’s a tricky balance to find, since professional photographers and those with high end workstations, only makes up a tiny percentage of Lightroom users. While many pros only want performance improvements, Adobe gets a load of complaints when they do stop adding new things and only work on performance. The retina screen on your iMac Pro is the root cause of many of the issues, so if you’re having that much trouble, you may find that moving LR’s window to a standard resolution screen makes you happier. Thanks for the reply Victoria. I know this is your personal blog and not Adobe’s website, so I don’t intend for it to sound like these grievances are in any way directed to anyone other than Adobe HQ – but as you are an Adobe Community Professional perhaps voicing these concerns on your website might aid the chances they reach the eyes of the right people at Adobe that can affect change. I’ve read 100s of forum posts from pros in the same position as me with the sluggish responsiveness of LR Classic and the standard reply from anyone official (if they are lucky enough to get an official reply at all) is typically along the lines of a ‘it must be something specific to your setup’, usually toned in a way that dismisses the problem. I’m sure you agree that acknowledging the severity of the problem is the first critical step towards fixing it. To this end I need to respectfully push back on a few points you made in your reply. 1 – The entire Adobe CC desktop applications suite markets itself at professional creatives and creatives aspiring to become professionals. Any consumer user-base Lightroom has cultivated would be attributed to customers saying something akin to – ‘if Lightroom is the gold standard for industry pro’s it’ll be plenty good enough for me’. So the professional segment, even if dwarfed by the consumer segment, should only be dismissed at Adobe’s peril. 2 – I am not sure what the implication of saying they are ‘trying to find a balance regarding high end workstations vs low-spec’ is in any event. If LR functions poorly in the top 1 percentile of computer builds it stands to reason it will only perform worse in lower configs? Perhaps you mean specifically about issues with higher resolution displays, which I think may be part of the issue, but in no way should be used as an excuse – see point 3. 3 – 1080P (2K) screens are going the way of the dodo. Even the everyday consumer who is invested enough into photography to commit to a CC subscription is likely to already have a 4K monitor or be a candidate to upgrade to one soon, they are increasingly commonplace especially amongst creatives. A quick look over on Apple’s desktop lineup and I can see as of writing they only sell a solitary configuration option that does not have a 4K or 5K display. This is a trend that is only going in one direction – more resolution. If the display resolution is the cause of so much dismay and exasperation amongst Adobe’s most loyal LR (now dismissively relegated with a versioning name to ‘classic’) then this is an issue that is inevitably going to become more widespread and resolving these issues should, rather than being dismissed, be prioritised. Surely Adobe would prefer to be ahead of the tech curve? Thanks for your really helpful website and for offering a platform for some of these grievances to have a spotlight shone on them. The best place to have your say is https://feedback.photoshop.com, as that gets directly to the engineering teams, even if they don’t reply. There’s no question they’re aware of the issues and are continuing to work on them. They did officially acknowledge concerns here: https://theblog.adobe.com/on-lightroom-performance/ and some progress has already been made. There’s no doubt there’s more work to be done, especially for retina screens. It’s a lot more data to process every time someone makes an adjustment (like 8x! ), so it will require rewriting a lot of the code base to use the GPU. They are working on that, but it comes with its own issues and a whole heap of driver bugs, so it’s not a quick solution. These things do take time, so in the meantime, there are things you can do to help yourself, like using a lower resolution screen, smart previews, and understanding exactly what’s happening under the hood to make the best choices. The Performance chapter in my LR Classic books does go into that kind of detail. I have LR 8.2 Classic installed and then discovered I had to upgrade to Windows 10 build 1809 (which took a week with a Microsoft tech). I now am ready to try the enhanced detail, but can’t find it in LR I’ve searched all over the developer module for it. I have LR CC 7.5 installed. I go to upgrade but all it says is open not upgrade. The upgrade is not listed. Any help would be greatly appreciated. Which operating system version Peter? OS X El Capitan 10.11.6. I hope this is what you mean by operating system. I’ve just downloaded the latest version of Lightroom Classic CC (8.2 release) to a new/clean Mac OS install and have manually copied across my existing develop presets from an old machine to a new one. I have pasted them into the folder indicated in Lightroom – Preferences – Presets. However, the presets aren’t showing up in Lightroom, even after multiple restarts and Lightroom hasn’t generated any xmp preset data in the settings data. I am running MAC OS Mojave and have chosen not to use the MAC Migration Assistant, as I wanted a clean slate with the new install. What format are the presets? After updating to the latest version of Lightroom Classic CC, I tried to open Lightroom and I get the following error message: “The Lightroom Catalog named “Ex Files-2-2-2″ cannot be opened because another application already has it opened. Quit the other copy of Lightroom before trying to launch.” I don’t have anything opened! Any suggestions? I haven’t used Lightroom in several months except for updating it when prompted to do so by Creative Cloud (which is not really using it). Thanks. Look next to the catalog for a *.lock file. If there’s one there and LR is closed, you can delete just that lock file, then try again. Thank you for the prompt reply! I’ll try that a little later tonite after work.